The Suunto D4I Novo is an upgrade to Suunto’s popular D4i dive watch, with a few feature upgrades. The Novo is sleeker and more stylish than the original D4I, and has a comfortable silicone band, making it even more appealing for daily wear as a watch. 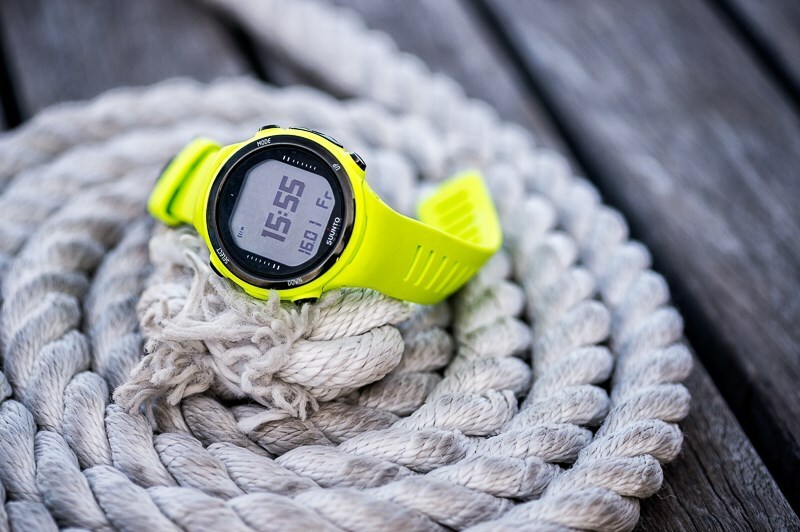 It’s clear from the bright colors and integrated ability to display time in two different time zones that it’s meant to be a vacation watch, keeping you company on a beach holiday, in and out of the water. The ability to turn it off is helpful in that scenario, so it won’t turn on in the water of a pool or when engaging in non-diving sports, recording false dives. Free divers and skin divers love the D4I Novo for its compact size and ease of use, and it’s a great all-around dive computer for beginner to intermediate divers. However, the price point is a bit expensive for a dive computer that doesn’t have a compass and doesn’t have a replaceable battery. 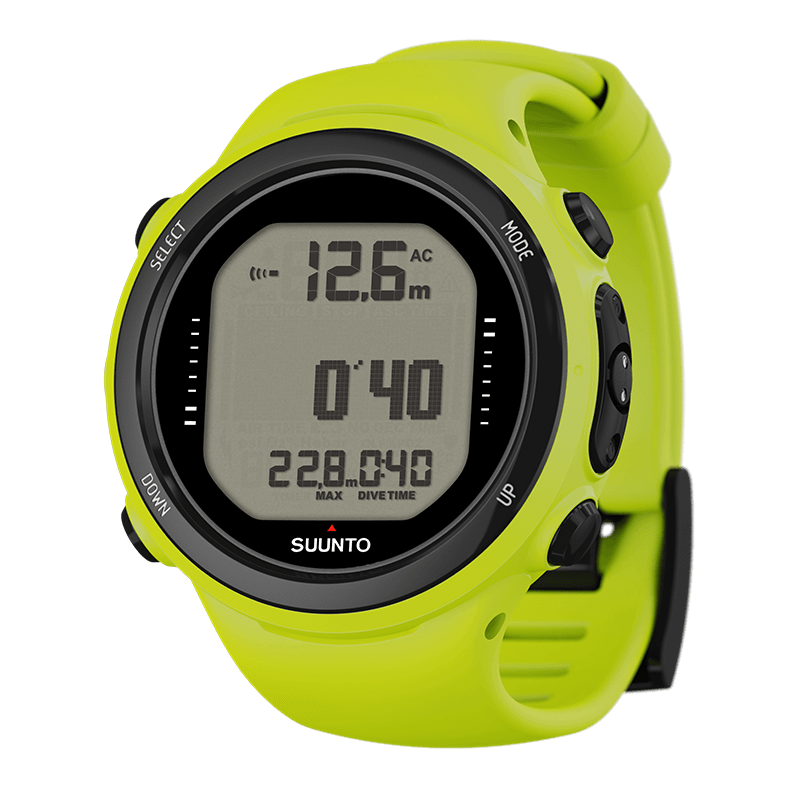 The Suunto D4I Novo is a dive watch with all the features you need in a compact size and an array of vibrant colors. The Suunto D4i Novo is a great all-around dive computer watch and in the video below done by SimplyScuba.com, you can see why. In the video, you can get a closer look at most of the dive computer features and how easy it is to operate. Lightweight, comfortable, fashionable design in a range of colors. One of the key features of the D4I Novo is that it doubles as a daily wear watch. In that respect, it has all the features you would look for in a watch, with a sleek style, comfortable silicone band, and range of colors for every style. Easy to read display tracks and notifies divers of dive time, compression time, current and maximum depth, and other critical information is right at your wrist. Four diving modes, apnea timer, and optional wireless air integration make this an excellent dive computer for a range of divers. It's sporty and stylish while still being incredibly useful. In making the D4I Novo versatile, useful, and fashionable, it misses the mark a little bit on functionality. It's not quite perfect for free divers or mid-to-advanced divers. The inability to use more than one function at a time can be frustrating. The simple interface is easy to learn and easy to use. Again, in aiming for versatility and broad appeal, Suunto missed the mark a little bit on price. One would expect more features from a dive watch at this price. We love that the D4I Novo combines all the necessary features of a good, reliable dive computer into a compact and attractive wristwatch. It’s the perfect accessory for a scuba vacation, or for those lucky enough to live a full time diving lifestyle. The price seems somewhat high compared to the features in competitor products, particularly when you consider that it has no compass and no user replaceable battery. Those are long-term drawbacks, depending on your diving style, and it seems like it should at least have a compass in this price range. The Suunto D4I Novo is for everyday recreational divers, free divers, and for those who dive so frequently that it makes sense to combine a dive computer and a watch for everyday wear. Will the wireless air interaction work with older Suunto tank transmitters? Yes, the Suunto D4I Novo will pair with other, older model Suunto tank transmitters. Does it warn you if you ascend from your dive too fast? Is the wireless transmitter included? No, This is generally sold separately. However, you can sometimes find packages with the transmitter included. 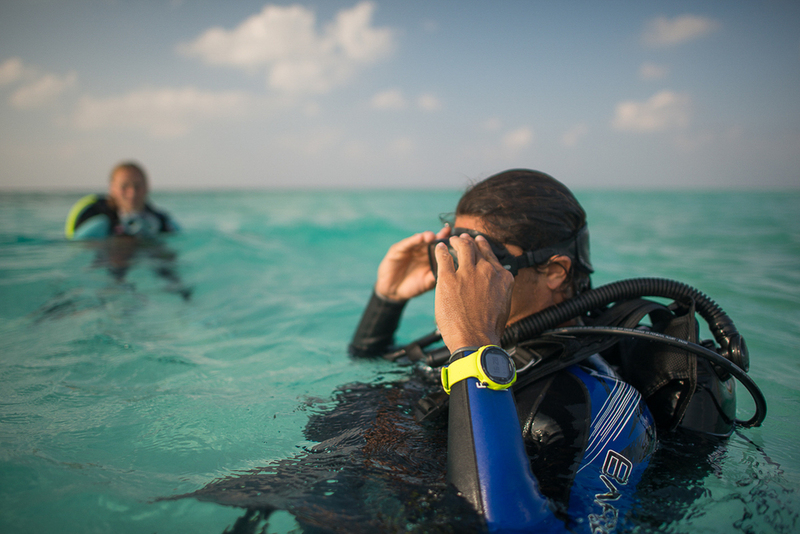 Suunto makes exceptional dive computers, known around the world for their high quality and durability. The D4I Novo is an attractive dive computer and a nice upgrade for the popular original D4I.